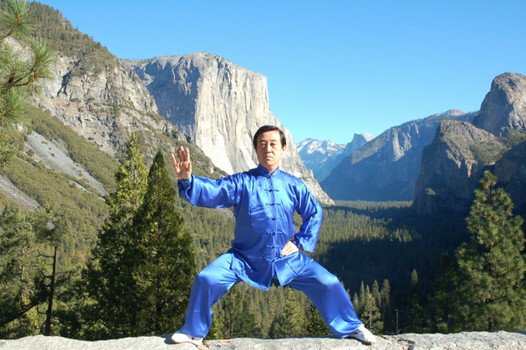 Grand Master Chen Zheng Lei posted a very interesting Facebook explanation about the best way to practice tai chi. GM Chen focuses on four major points for an appropriate tai chi practice. Here I detail my understanding of what Grand Master Chen Zheng Lei is saying. Tai chi is based on the theory of yin and yang and, as such, on alternating yin and yang movements. By focusing the mind on a specific movement, qi is being carried to the whole body because in tai chi, when one part of the body moves, the whole body moves. GM Chen is talking about integrating body movements. GM Chen tells us to bring attention to the “ancestral qi” (inherited from our ancestors) stored in the kidneys. The kidneys are the body’s source of qi, so if there is enough qi stored in the kidneys, the five main internal organs (lungs, heart, spleen, liver and kidneys) will function well. To the ancestral qi, we can add qi to our bodies by breathing qi into the Dantian area or the Yong-quan points in the sole of our feet, keeping a relaxed body. By cultivating internal qi, a person will feel energetic, with power and body coordination. The external, on the other hand, focuses on exercising hardness and power in different parts of the body. Tai chi aims at fostering the internal qi, enhancing the roots to let the branches flourish, having a steady lower body, an active centre of the body, and a light upper body. GM Chen is explaining that our focus needs to be on improving the basics, our tai chi skills, and not being so concerned about knowing the exact movements and applications of the forms, as this may create rigidity. He encourages us to work on alternating yin and yang, hard and soft, in our movements and moving our body in a relaxed, coordinated way. Respect – respect for your teachers, masters and friends. Confidence – with two aspects: self-confidence in the way you practice tai chi and good faith, which manifests in how you relate to others. Determination – setting your mind to practice tai chi is the best way to practice tai chi. Perseverance – to practice without stop, to keep on practicing no matter what. 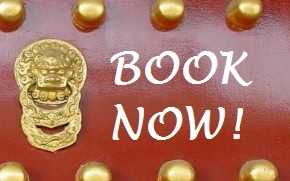 Patience – it makes you understand that tai chi requires soft, slow and relaxed movements. Being too eager to achieve results is impossible because tai chi needs a lot of practice. GM Chen ends his reflection by saying that when conditions are ripe, success will come. I will add that if you trust, you will get what you need to get there, be it a new teacher or master, a new skill, or a new approach to the same teacher, class and knowledge. Trust and you will have fun in the process of learning tai chi. Categories: Tai Chi Practice | Tags: Grand Master Chen Zheng Lei, practice tai chi, Tai chi | Permalink.